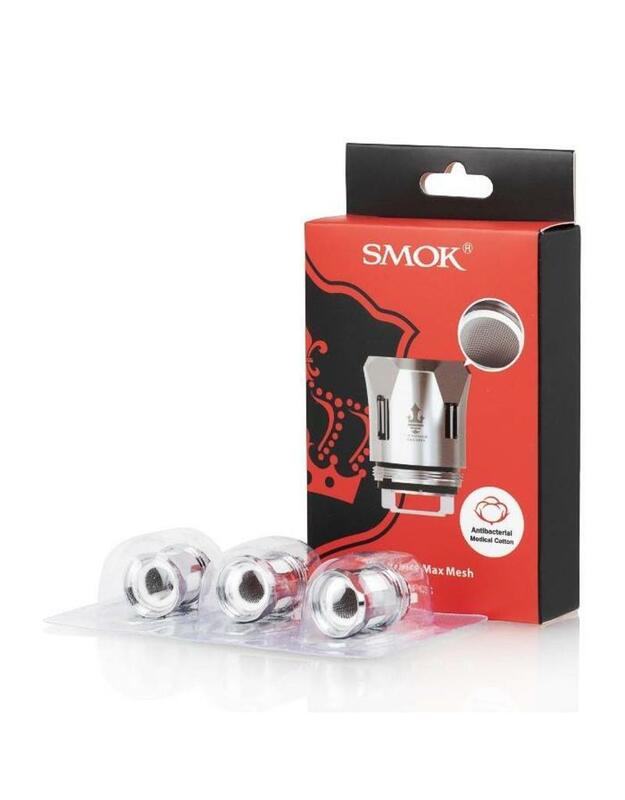 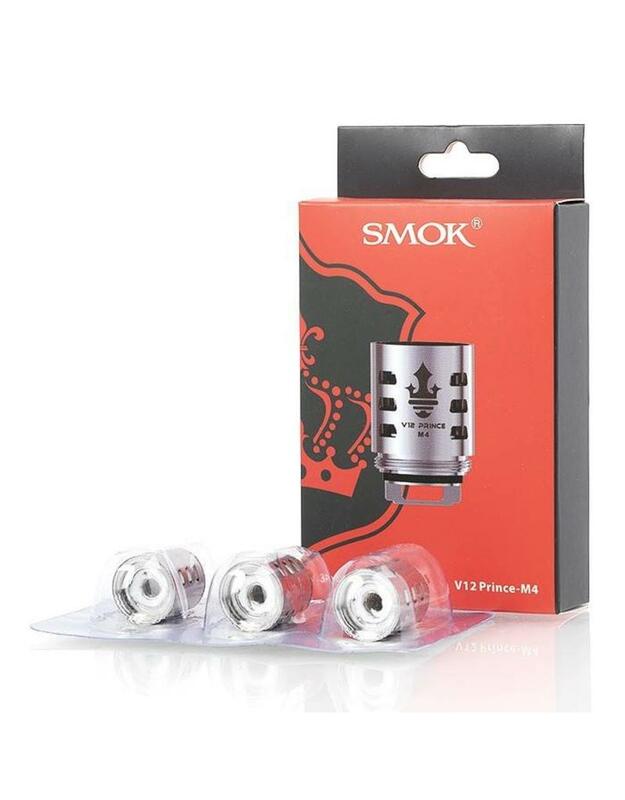 The SMOK TFV12 Prince Replacement Coils are unrivalled performance atomizer cores introduced with the amazing TFV12 Prince Tank.V12 Prince Mesh Coil Design 0.15ohm Rated for 40-80W Recommended 60-70W. 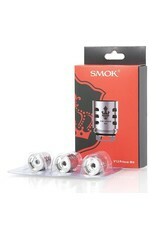 V12 Prince-T10 Dectuple Coil Design 0.11ohm Rated for 60-120W Recommended 80-110W. 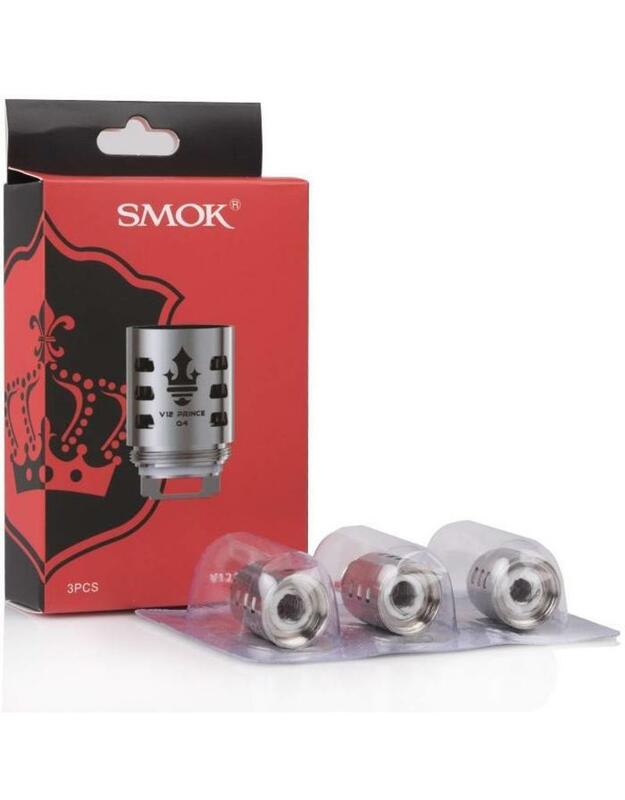 V12 Prince-Q4 Quadruple Coil Design 0.4ohm Rated for 40-100W Recommended 60-80W. 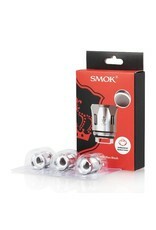 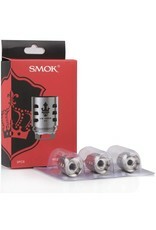 V12 Prince-M4 Quadruple Coil Design0.17ohm Rated for 30-70W Recommended 45-55W.